The Road to Value will give the green light to changes that help keep you healthier. We are working to bring more primary care providers into the state in areas where there is a greater need for primary care services. 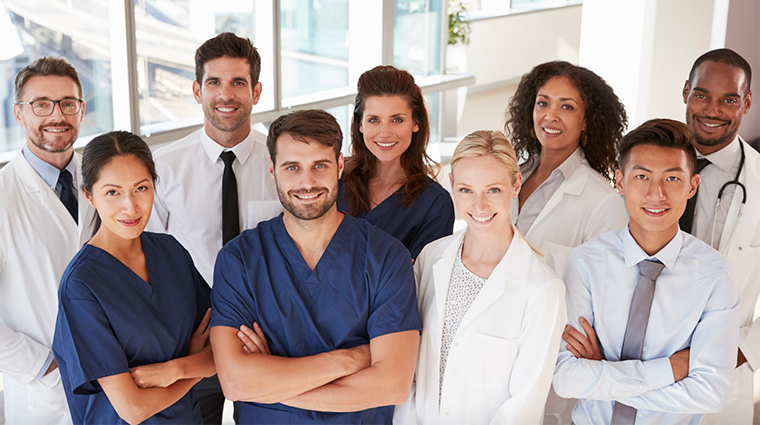 A group dedicated to recruiting more health care providers to Delaware — called the Primary Care Collaborative — has been formed to focus on the goal of filling the needs of areas in the state where there is less access to primary care providers. The group is also helping to centralize services for patients, to coordinate services between providers, and to help providers get reimbursed more fairly for their services. The benchmark focus to reduce opioid-related deaths and prevent cardiovascular disease addresses key health threats that affect you and our community. The state has developed a system of care for addiction prevention, treatment, and recovery that focuses on reducing overdoses and deaths that are a result of the opioid epidemic. There is also a primary focus on reducing the risks, such as obesity, that can cause Delawareans to suffer from heart disease. There are programs planned to help at-risk individuals lower their risk. Offering more community support through local programs will help you and all Delawareans have access to services available close to home, to improve your health. We want you and everyone in your neighborhood to have access to services that can help you stay healthy. The work that began with Healthy Neighborhoods will continue through a new organization called Healthy Communities Delaware . It is a partnership spearheaded by the State of Delaware, the University of Delaware and the Delaware Community Foundation, with the support of public, nonprofit and private organizations throughout the state. Healthy Communities Delaware will identify the specific needs in your community and work to bring people together to create programs to meet them. The Patient and Consumer Advisory Committee gives you an advocate for your own well-being, offering opportunities to provide input and feedback. A lot of what happens in our state — and with your own health — depends on you. We look forward to having you participate in the work we are doing, to help us understand what you think and want. A special group has been formed to be your advocate. This committee will meet regularly to empower Delawareans with what they need to know to stay healthy and to be the best advocate for their own care. Sign up for email updates so that you can stay up to date on the latest meeting details. Behavioral health services will be offered through many primary care providers’ offices, so that mental health and addiction issues can be identified before they become life-changing or life-threatening. It just makes sense that when you go to your provider, you get checked for all the things that affect your health — including your mental health. That’s why behavioral health specialists will be connected to many primary care practices. If you have specific symptoms that indicate a need for behavioral health care, you’ll be connected right there in your primary care’s office. You’ll get the care you need immediately. By offering participation in national initiatives, such as My Healthy Weight, we can help you address risks and lead a healthier life. The Road to Value is also set on making it possible for you and every Delawarean to know what you need to do to stay well. Your primary care provider will offer you programs and services that help you prevent disease by staying active, eating right, and avoiding risky behaviors. The programs available in the near future will include participation in a national initiative called My Healthy Weight, which will offer special services to Medicaid clients whose weight puts them at risk for cardiovascular disease. Coordinated care keeps people in every medical situation healthier. Apoyar el punto de referencia y reducir el gasto en el sistema de salud liberará dinero para financiar inversiones importantes en educación, seguridad pública, el medio ambiente, y otras iniciativas.